Standard configuration: f=125mm for proper cropping with Zeiss f170 binoculars and 1-inch format C-mount cameras. See product photo (shown with typical C-mount camera applied). 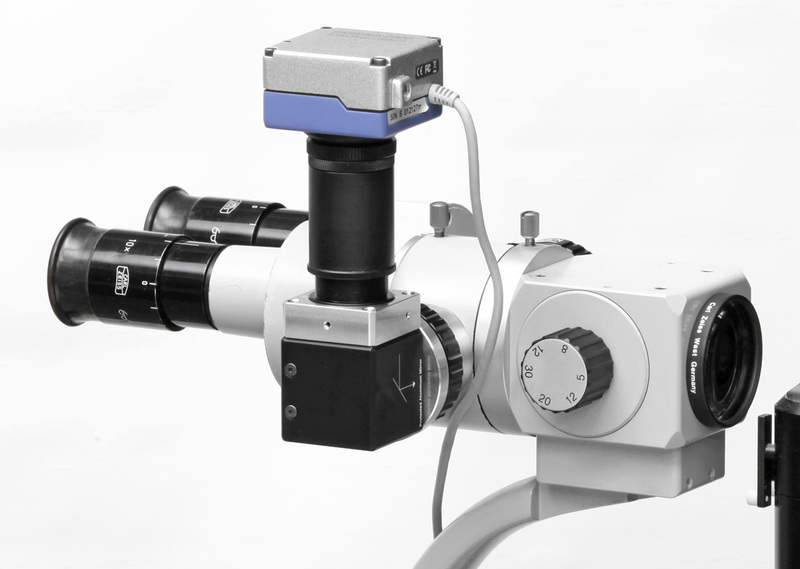 Photo (adapter and camera on a typical Zeiss operating microscope). 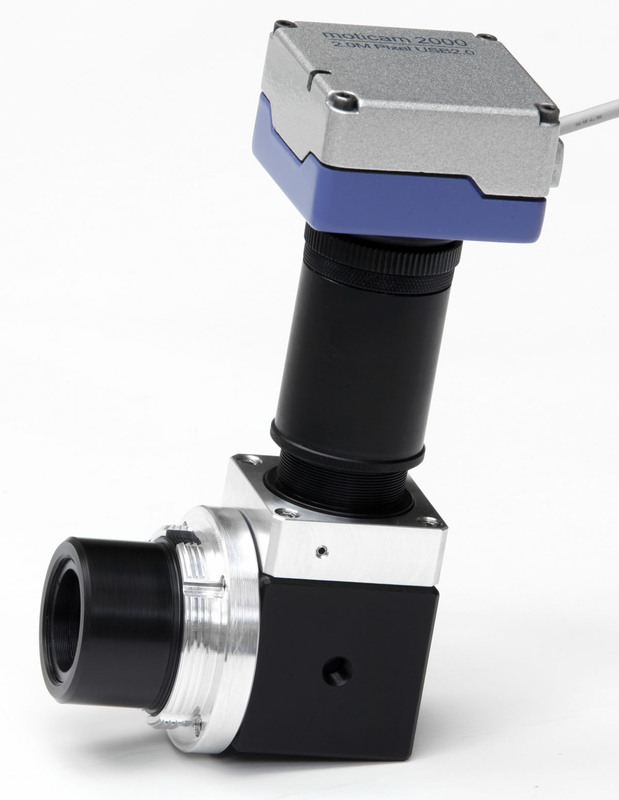 Photo (adapter and camera on a typical Zeiss slit lamp). 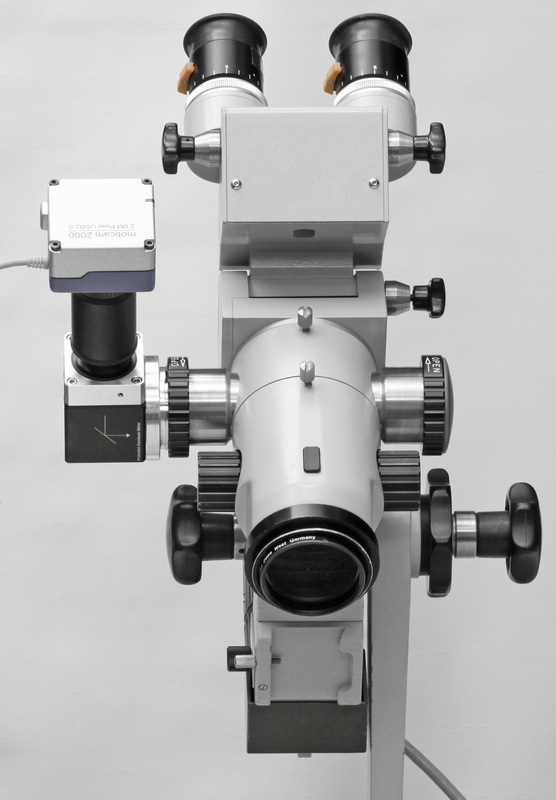 Internal mirror provides normal image to camera (in conjunction with beamsplitter mirroring).